MIGHTABINS REUNION SHOW this FRIDAY! hope to see u there! our set sometime between 11-12 ishy. it’ll be quick. it’ll be fun, it’ll be sweet. mtn dukes 1st ever all nighter FRI JAN 11th in Toronto! 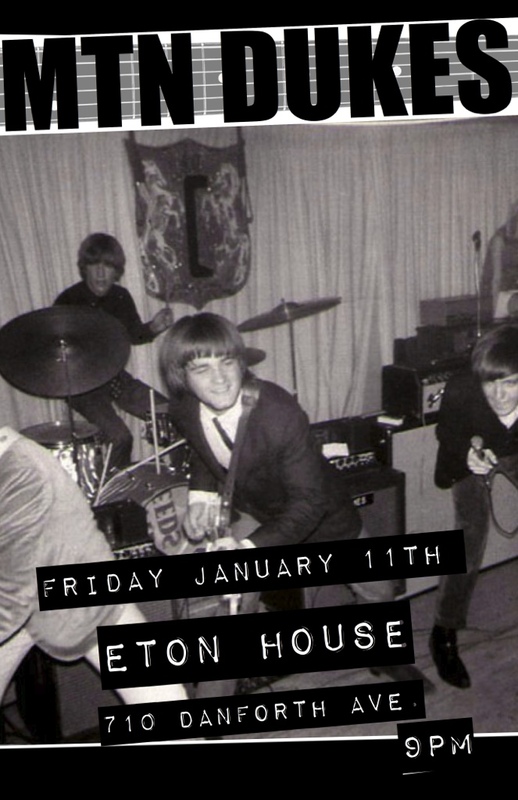 Eton House-710 Danforth Ave! 3 sets! Pool! New Tunes! Special Guests! New Gear! Brews! and YOU! its been far too long THAA blog! but we’ve been ever so busy! lets get bassploit rolling! recently, our association with Those Handsome Hooligans came to a crashing halt. ah, such is life as the lowly low end guy. “true bandmates do not judge each other, they just judge other bands.” could never be a more apt quote. we wish them nothing but the best moving fwd. mtn dukes played a last minute show mid November at OnCue that was a thrilling success! much thx to every1 that showed & our acoustic duo, RoP even opened the night again. both acts debuted new material so the hurried nature of putting the show together with some new tunes made for an exciting 10 days in the lead up! a defo hilite was a blazing version of Rockin’ in the Free World with super special guest Sarogunslinger! it was an hair raising epic will we never EVER forget! mtn dukes rumours persist of a big show in Toronto this winter with a slew of new material & some of the audio from our Dukebut back in Oct. may get posted online soon. stay tuned for news on that! 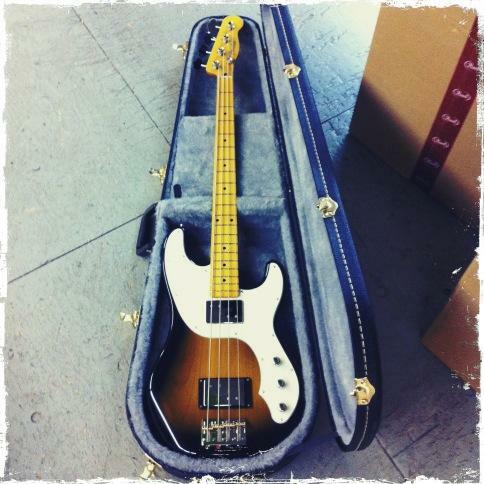 our new fender telebass continues to impress. back from a recent vacay where we went 10 days without touching her so we thought our opinion might have changed in that time but it only made us fall for her more. we think we’ll call her “victoria“. she’s a keeper in our books! we’ve resumed jamming with loudest band we’ve ever jammed with… The Mightabins with a Dec 28th reunion show at Hard Luck Bar in the offing. as of writing this post, the show is a go but anything can happen. we are still looking for another band to join the bill so if u are a local punky/garage band check out this posting and apply within! can’t wait for this show so fingers crossed its a hey ho, lets go! the search continues for some1 to play mostly orgs with. a cool duo, trio or full band. boo for no news! hope springs onwards! this pedalboard setup is still in use & lovin it! finally, got some cool pics from anna laxton photography. she had seen us at a few shows & rehearsals over the early part of the year. HIGHLY RECOMMENDED band photographer! we are a hard person to get a good pic of since we groove alot & she still managed! 🙂 such an awesome treat to get some pics!